The term “hard-shell” once applied to the type of outwear we climbers used in inclement weather. Those old jackets certainly resembled shells—turtle-shells. They were tough, encapsulating, and stiff. And the noise! Who can forget the crunching and crinkling of those old warhorses? Still, they “worked” and thus earned my unending respect. Of course, “hard-shell” no longer really applies to the jackets the top climbing apparel companies are producing. 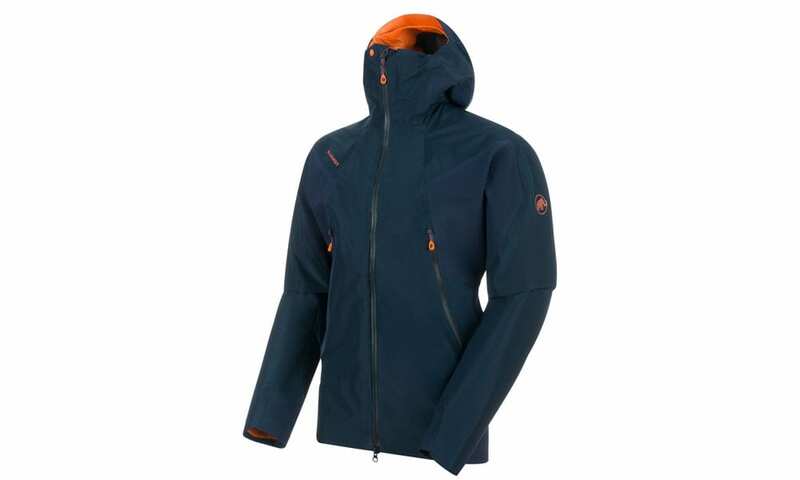 The latest example of this evolution is the Nordwand HS Flex Hooded Jacket by Mammut. HS stands for hard-shell, but these jackets have moved beyond the concept. The jacket is enmeshed in different fabrics. 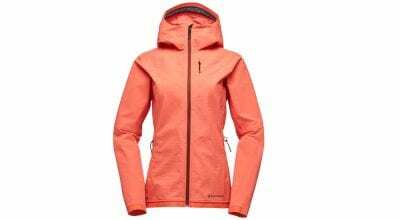 In high-movement areas—arms, wrists, and the upper back—Mammut has utilized the novel Gore-Tex Stretch fabric for increased mobility. The fabric is honeycombed and, you guessed it, stretchy. The rest of the jacket is constructed out of the industry standard three-layer Gore-Tex material. The Nordwand truly is an athletic fit: I’m 5’10” and weigh 135 pounds soaking wet, and a medium fit me perfectly. The jacket seems to conform to my body and actually moves with me. 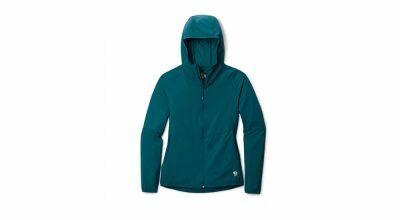 This is a top-of-the-line piece, so naturally there are plenty of added features: a simple and effective single-pull hood drawstring, two side pockets placed above the harness with zippers that actually pull easily, a sticky material on the back side to prevent the dreaded rear-end exposure, and even mouth/breathing vents at the top of the jacket that stay open thanks to a clever snap button. Rather than being a boxy “shell,” the Nordwand feels more like a legitimate extension of my skin, it moves extremely well, the texture is supple; you don’t notice it once it’s on. I foresee using this jacket for every conceivable mission.